Help me support my amazing Ninos in Peru! 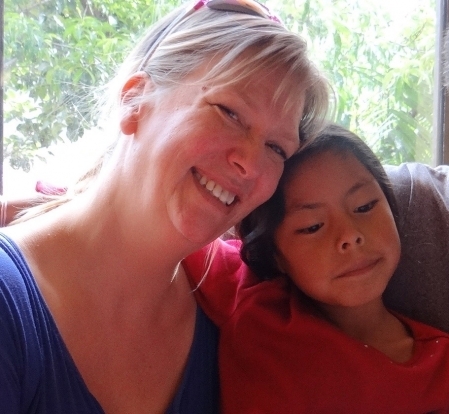 In 2013, I visited Niños Del Sol in Peru and my life changed. I've posted often on my Facebook and in my blog about these kids and what they mean to me. These amazing kids have overcome abandonment and orphandom, trauma and abuse, and have such glowing hearts full of love and joy. Right now we're having a campaign to provide security for Niños Del Sol. We need monthly income to provice food and housing security for them. I'm hoping to add $250 per month in donations -- if 10 of you will each donate $25 a month I could make this goal! But if you can't give $25 a month, all donations are appreciated. Please join me in supporting these kids! It's such a worthy cause. Not one dime is wasted, and we support the kids all the way through university so they can break the cycle of poverty in their families forever. Make a child's dream come true! Any help that you can provide will be greatly appreciated. Thanks again! Much love to the niños! For Lauren's amazing Ninos in Peru!